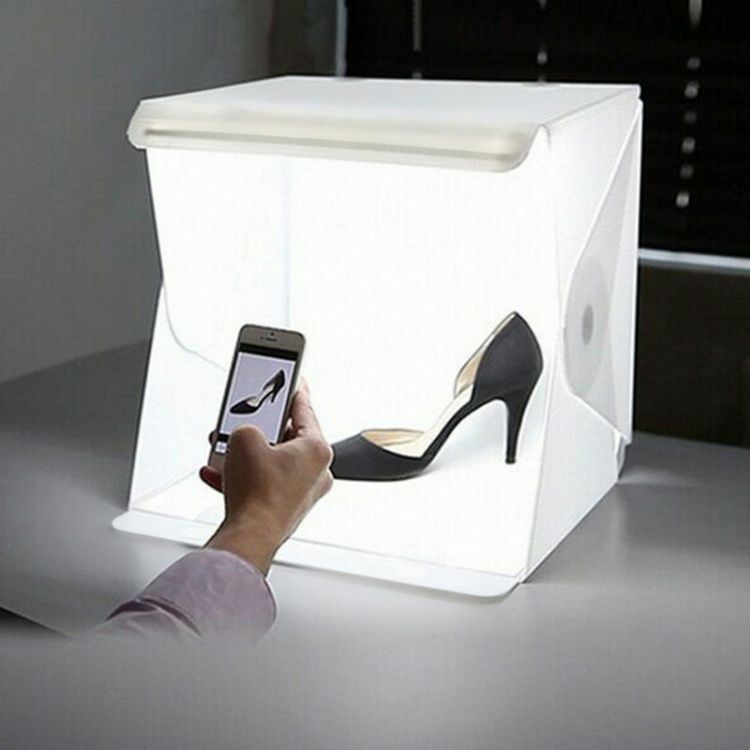 This is the ideal small portable photo studio for on the go, easy product or macro shots. It Opens into a cube that can hold an item up to 8.9 inches by 9 inches by 9.5 inches in size. Designed with 6500K LED lights, Providing additional lighting during photography sessions, Micro USB port for Convenient power supply. Folds into itself making it easy to carry and travel with! Built-in magnet for quick setup and collapsible design.